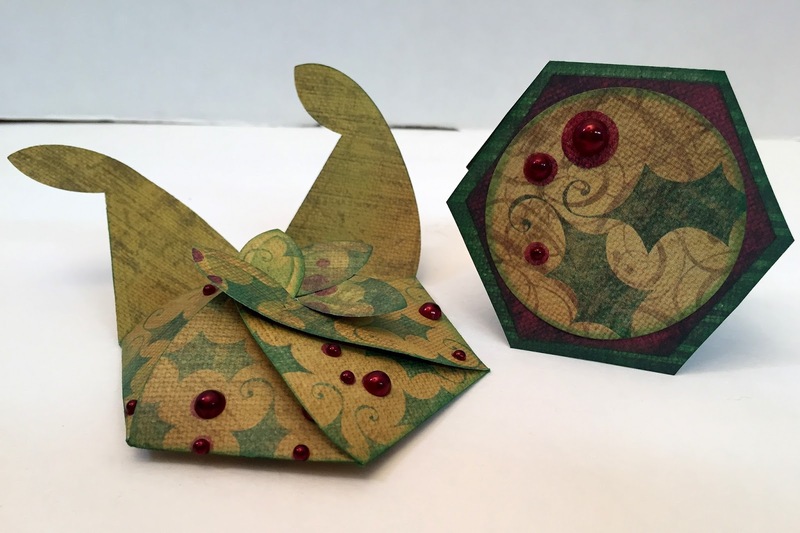 Hello, Alicia posting today with a hex card inside the Spellbinders Hexagon Pinwheel Top Box. 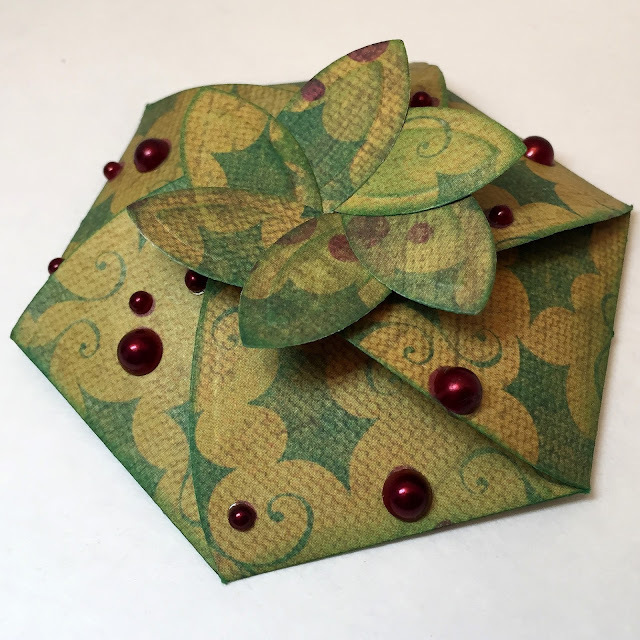 I used holly paper and pearls to make this festive shaped mini card. I created the perfect fitting hex card by using the hex die itself. 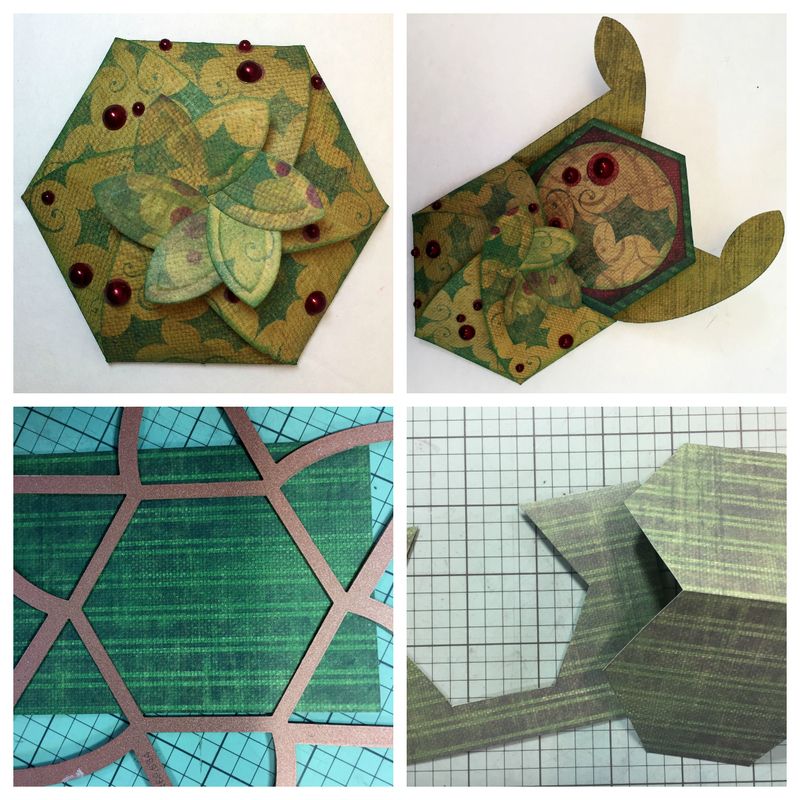 I folded a scrap piece of paper and traced the inside of the die leaving the fold inside the hex. I then fussy cut leaving the folded side uncut. I traced it again on another patterned paper and simply cut it about an eighth an inch shorter on all sides.I added a sticker and pearls to finish off the card. It slips inside perfectly! This is such a fun card Alicia! I love the patterned paper you've used. The gems are a nice finishing touch too. A very unique and lovely card!! so pretty with that paper and the pearls and great idea for the card to slip inside! WOW so cool! Great job and awesome inspiration! What a great idea, I love it! Fabulous paper you have used, such a pretty design.